There are many reasons to rent a storage unit in Ottawa and depending on the reason you will want to organize your storage unit differently. 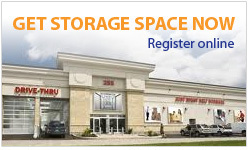 In most cases, for typical storage of household items and clothing etc. it is a very good idea to follow some of these tips in order to pack your storage unit in a way that makes frequent access easy to get to exactly the items you are looking for in your storage locker. If you don’t plan to visit the storage unit very often then this may or may not apply to you but in almost all cases, proper organization will make your self storage access a lot better and easier to find exactly what you need when you need it. Take this example, where the news reports that the weather is changing drastically over the next week and much cooler weather is expected. Before the freezing cold temperatures sweep over the city, you will likely want to access your cold weather clothing such as coats, mittens, gloves and hats. If you haven’t taken time to properly organize and pack your storage unit then finding these items may take you all afternoon. However with the right planning in the beginning, finding these items will be a breeze. Some tips would be to document each box that goes into your storage unit and make a layout plan at the very least identifying which types of items are on which side of the unit or which corner. If you plan on accessing your storage unit more frequently you will want to make little paths so you can navigate around boxes and stacks without having to pull everything out to get at something in the back of the storage unit. 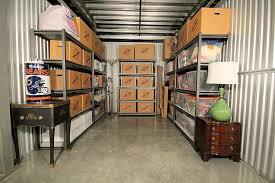 It can also be very helpful to use the same size box for all items in the storage unit. This will make it easier to stack the boxes and make sure that when you access different boxes you are less likely to have a tower of mismatched boxes come tumbling down. Of course there are some items that won’t fit in the same size box but these can be put on the bottom and organized with other similar shape/size boxes. With a little planning ahead of time you can avoid a bunch of headaches later on when you access your storage unit in Ottawa. In addition to the master contents list mentioned above it can be very helpful to label each box with a primary label and even take it a step further and write in smaller font size some of the major contents in the box. This can be very helpful down the road when you have long since forgotten what the contents of each box contain. At Just Right Self Storage, accessing your storage unit in Ottawa is very easy and you can access your storage unit at our Ottawa storage facility 24 hours a day. We have made it easy to access the storage unit for you (especially with our central drive-thru lane) – the next step is for you to make it easy on yourself to access the items inside your storage unit.